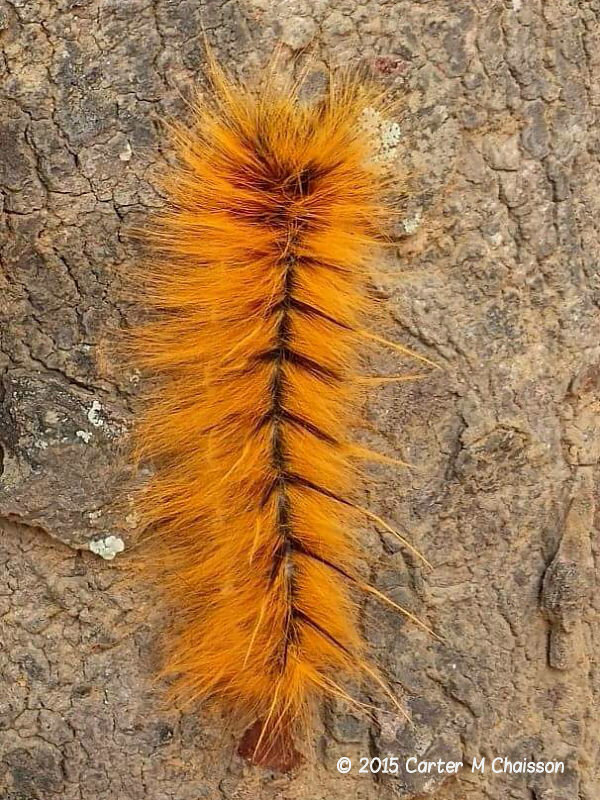 This photo of an amazingly hairy caterpillar, estimated at well over 100 mm in length, was taken in Malawi, Africa by Carter M. Chaisson and sent in by her friend Weston Lipka. I’ve received photos of some astonishing looking caterpillars from many different countries but this is up there with the best. Great photo as well, many thanks to both Carter and Weston. As ever, once the initial ‘wow’ is over, the head scratching begins – what on earth is it? So often in many parts of the world, as highlighted recently from the Seychelles, some extraordinary caterpillars exist but little or nothing seems to be known about them. Often the best that can be done is to place them in a family of closely related insects. UPDATE – Initially it was felt that this was a species of Monkey moth. However, having received further photographs of similar caterpillars from Mark Harvey in Zambia and carried out further research, it seems most likely that these are the caterpillars of Pachymeta robusta, also known as the Msasa Worm. Mark was able to identify the tree the caterpillars were feeding on, Brachystegia spiciformis, a known larval foodplant of Pachymeta robusta. It is thanks to images such as this being received at Wildlife Insight from so many countries that new world wide caterpillar galleries are being added. Images received with be either added to the galleries or maybe used for a latest sightings report with accreditation. The copyright of photos remains with the photographer.